Imperforate, thin paper, no watermark, typography. Printed by the Customs Statistical Department of Shanghai. Printed between 2½ and 3¼mm apart in the sheet. 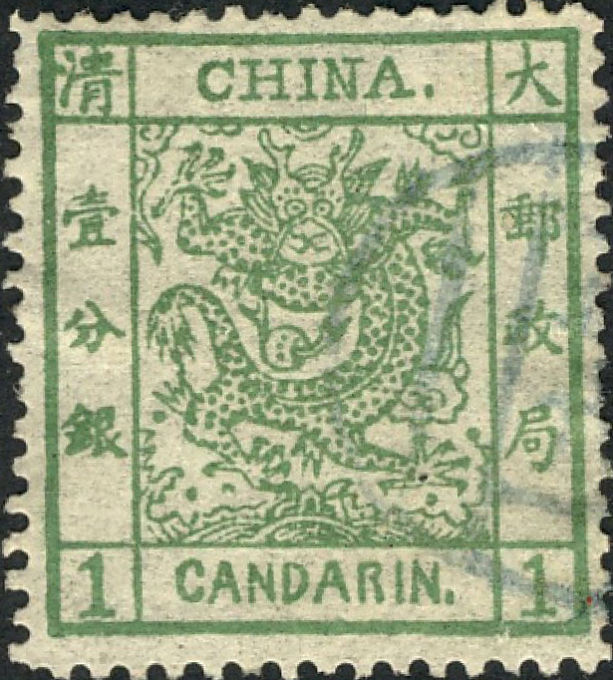 Thank you to the China Stamp Society for information on the issue date. 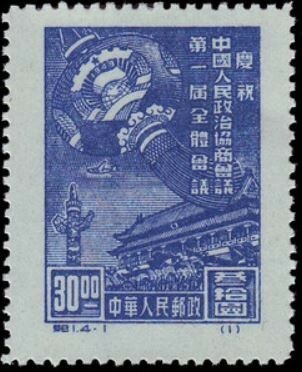 The March 2016 edition of Stamp Magazine reports a recent Spink auction at which £359,142 (excluding premium) was paid for this essay for China's #1 from the collection of Meiso Mizuhara. It states, "For a long time, it was thought that the essays were by a foreign designer as pagados would traditionally be built with an odd number of storeys. However, the fine rendering of the Chinese characters has since convinced many researchers that the artist must have been Chinese." 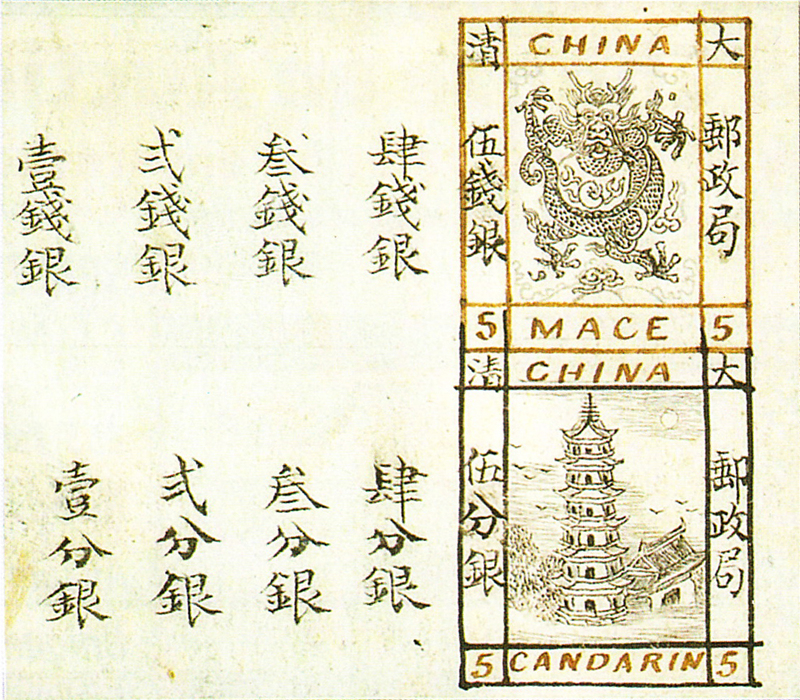 France made a general issue plus seven for specific locations (Gibbons notes that these were administered by the French colony of Indo-China), Italy two issues, with one each for Germany, Russia and Britain. Images from David Olson, Stamp Magazine, colnect.